Hybrid cloud is the infrastructure configuration of choice for many enterprises, and with good reason – it enables a flexible combination of public and private infrastructure components, both on-prem and in the cloud. 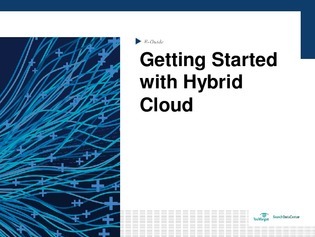 Open up this E-Guide to learn more about hybrid cloud, including how to get your enterprise started. Featuring a handful of hybrid cloud deployment tips, you’ll also find some insight worth considering if a hybrid cloud strategy seems like your organization’s next infrastructure move.